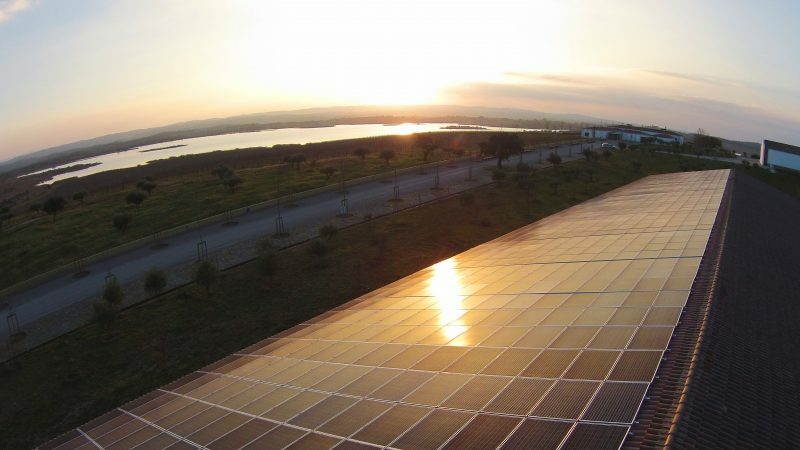 We set up 2 solar farms at Herdade do Esporão and the path we are looking for is is to be energy self-sufficient via renewable sources. Our wineries (Alentejo and Douro) were built on different levels so as to take advantage of gravity, reducing energy needs. Herdade do Esporão’s underground cellars use no energy to maintain ideal conditions of temperature and humidity. At Quinta dos Murças, the cellars boast an original and innovative system that uses the water from the mines to heat and cool the radiating floor throughout the cellars to control the temperature and humidity with great energy efficiency.